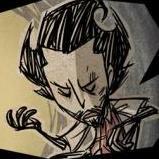 Please excuse my naïveté, but is there support for Don’t Starve mods on console platforms? Specifically are there plans to support mods on the Nintendo Switch? Presumably if Klei added support for mods for the XBox, PlayStation or Wii U, it is within reason that mods may find their way onto the switch. To have the option between hunting and gathering, I don't know how many times I've been gathering poop from Beefalos and accidentally hit it only to have it gnaw my face off. So maybe a switch from aggressive to non- aggressive.